This page will take some time to populate, as the appearance of chaplains in music doesn’t happen often and isn’t as pronounced as the appearance of chaplains in movies and television shows. If you become aware of a song that mentions a chaplain, please leave its name in the comments below. “Ebony Eyes” Words and music by John D. Loudermilk. Performed by The Everly Brothers (1961). The chaplain is mentioned as both giving permission for a Soldier’s fiance to come to post so that they can get married, and then is present near the airfield when word arrives that the plane she was coming in on has crashed. 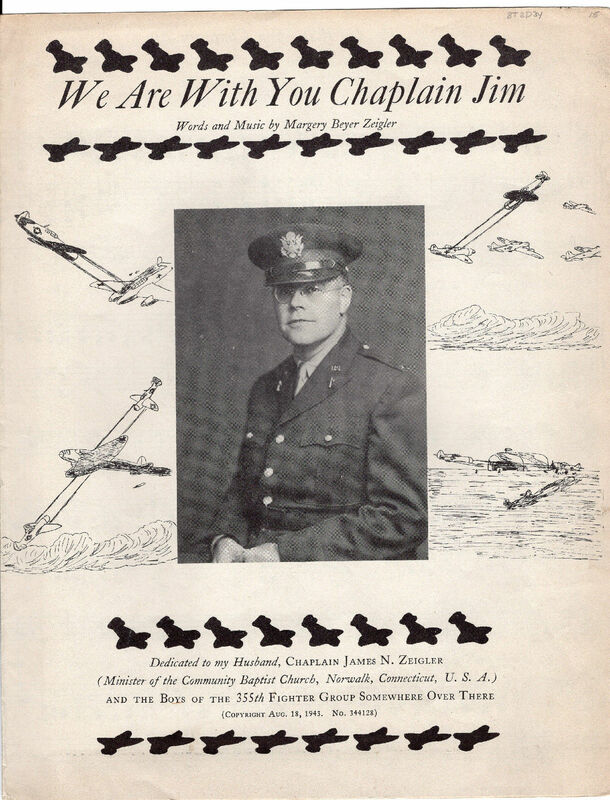 “Four Chaplains” Words and music by R. Alfred and W. Gold (1960). Performed by Fred Neil and released as a single. Also appearing on the album, Trav’lin Man: The Early Singles (2008). This is a ballad about the four World War Two chaplains who gave up their lives as they gave away their life jackets to other Soldiers after the USS Dorchester, which they were being transported on, was attacked by a German submarine (digitalized from a “Radio Station Copy,” author’s collection). “Praise the Lord and Pass the Ammunition” Words and music by Frank Loesser (1942).The performance by Kay Kyser and his orchestra in 1943 is said to have reached number 1 on the charts. Inspired by the words and actions of Howell Forgy who was on the USS New Orleans when the Japanese attacked Pearl Harbor, the song describes a chaplain nicknamed “Sky Pilot” who is asked to say a prayer but instead puts down his Bible and mans one of the ships guns. “Soldiers of God” Written by Benjamin Machan and Hy Zaret (1944). The official U.S. Army Chaplain Corps march. The first public performance of Soldiers of God was by Bing Crosby on Easter in 1944.